Smartphonemagz.com - Gamers always find a way to get the best experience while gaming. If you are a gamer, you will understand how impossible it is to bring your game console anywhere. You actually do not even need to do that because the smartphone can also be a good gaming device. However, it can never feel the same. A gripping smartphone is not as fun as the gripping joystick. Why not combine both of them? Now, you can enjoy the convenience of gaming with the best smartphone joystick. Time has come when technology solves every problem. The existence of smartphone joystick brings the wind of change for gamer’s lifestyle. Not only staying at home, they can also compete with friends outside with smartphone. The joystick helps them get satisfying gaming experience. Most of the joysticks are connected to the smartphone via Bluetooth, allowing the gamers to access it conveniently. Based on several websites, this kind of the best smartphone joystick for Android gets the crown of the best overall. It will give you the same experience as sitting in front of your TV and game console. The joystick looks solid and it really is. Not to mention it comes with the classy design. 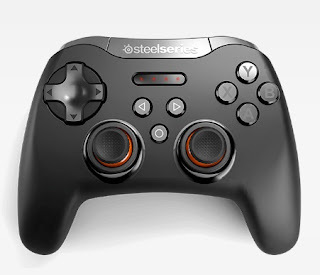 You will not see wiggly joysticks or cheap buttons in Stratus XL. This joystick offers powerful battery and strong connection to your smartphone. Even though it offers a little bit higher prices compared to the other joystick, it is worth your money. Overall, this best smartphone joystick is above the average. Stratus XL is available in black for Android and white for iOS. Trying to cross the joystick will not work. If you consider purchasing joystick that is crowned as the best in portability, Moga Hoga Power is what you are looking for. Playing games with this joystick does not require any good place because you already bring the place everywhere. Moga Hero Power introduces smartphone holder, allowing you to enjoy gaming with the smartphone in a much easier way. This best smartphone joystick is designed to be slightly more flat compared to the standard controller. In fact, it becomes another plus point for Moga Hoga Power because it does not eat much space and you can simply slide into your bag. In short, this is actually what you need if you are a real gamer. This joystick for the smartphone is rather unique compared to the other controllers. 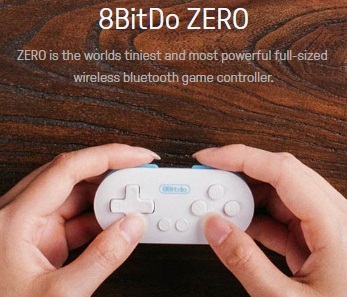 Instead of coming with standard size, 8BitDo Zero will amaze you with its tiny appearance. Yes, it is literally tiny because the size is as small as a car key. That is actually cool and impressive. Nobody will know that you are bringing smartphone joystick because you can hide it anywhere. Even though coming with small size, this choice of the best smartphone joystick has tactile and nice buttons. For more comfortable usage, it is designed with the wrist strap so you can never lose it. Talking about the battery, 8BitDo Zero can last for several days. Crowned as the smartphone joystick with the best value, this item can be purchased no more than $20.